Could it be hit AND miss? Love the Incredicoaster! Like Guardians of the Galaxy: Mission Breakout, they took a good ride and made it better. That doesn’t always happen (e.g. Luigi’s Rollickin’ Roadsters). But with this attraction the Imagineers really got it right. We begin the ride on the loading dock which is made to resemble the Parr family home from The Incredibles 2. Through the queue are images of the Parr family and their friends, and as you climb the stairs to the loading area you are treated to original video footage of the family being interviewed about this attraction. It’s well done and features the original voices for the characters. After loading, you are trying to help the Parr’s capture Jack Jack who is on the loose. Along the way you encounter Jack Jack’s different powers and at one point Mr. Incredible attempts to bribe Jack Jack with a Num Num and chocolate chip cookie smell wafts into your nose. It ends with Edna watching Jack Jack! It’s well done, well-crafted, and well thought out. Jack Jack’s Cookie Num Num! So good. Speaking of cookie smells, as you exit the ride they have a Num Num cart waiting! And let me tell you the Num Num is SO good. Soft and light but with that delicious fresh, warm cookie taste. The even have a gluten-free Incredicookie which was so good I would get it whether or not it was gluten-free. Six dollars a piece for a cookie is high, but it is a very good cookie. Overall, they have upped the ante with food options on the pier. The former soft serve ice cream place now serves lemon with a snowcap (white chocolate) in addition to chocolate and vanilla. Judging from the lines it must be good. They also have Angry Dogs (spicy beef hot dogs) served with “hot fries” and the Slightly Annoyed Dog which just cracks me up. They still have churros and added a spicy churro with a twist alongside Poultry Palace’s fried chicken and turkey legs. Some of the offerings are still the same but each place has added a themed twist to their menu. But the rest is just window dressing. 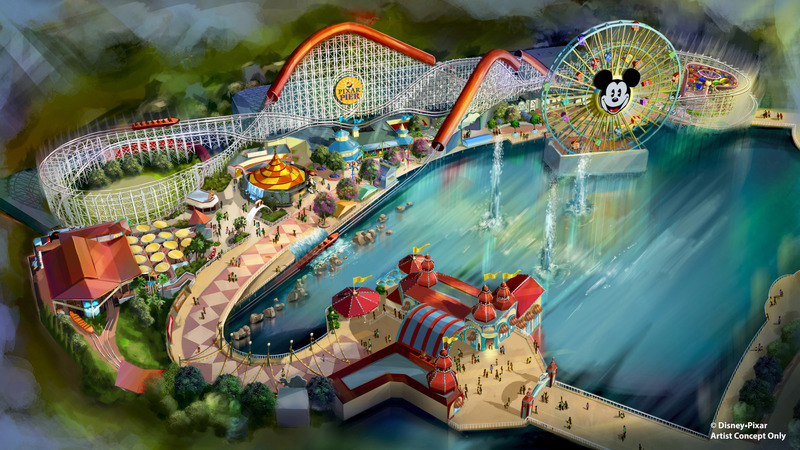 Redesigning a boardwalk game to feature a Pixar character isn’t exactly innovation at play. There are no new rides either. At least not yet. A family-friendly attraction based on the film Inside Out is scheduled to open in 2019 but no details have been revealed beyond the concept art released earlier. Given the space limitations it’s hard to imagine it will be a high-capacity ride or a very innovative one. From the image, it looks to be a simple spinning bucket ride like the one in “a bug’s land.” The only other new attraction also opening in 2019 is Jesse’s Critter Carousel which is pretty much just a revamped King Triton’s Carousel. Will I ride it? Definitely! I’m a sucker for a good merry-go-round, but that’s all it seems to be. What they’ve done, they’ve done well. The food is tasty (especially the Num Num), the Incredicoaster is better than before, but there isn’t anything truly innovative. Kudos for how they’ve revamped some classics (both attractions and food), but Star Wars: Galaxy’s Edge this is not. 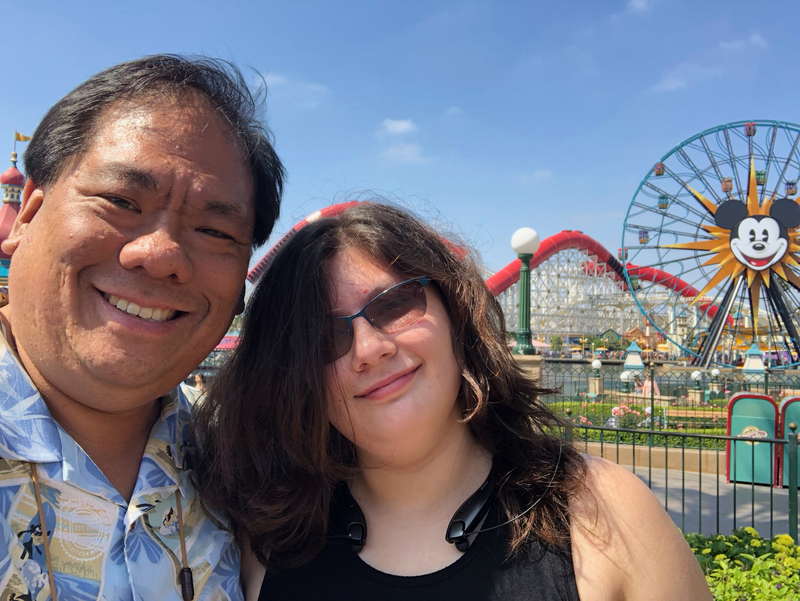 Still we had a great time exploring the pier and went on The Incredicoaster THREE times! Disney still knows how to put the fun in family. I loved the Incredicoaster and I thought they did a spectacular job!! However, I think the rest of Pixar Pier isn’t as good. I just went there this week for the first time. I did enjoy it but it seemed rushed.